Today is the last day of the BM#5 group 2. Somehow this month’s BM has been disturbed with the Blogger being down for a while and then life caching up with various things. I haven’t been able to check on all the BM posts. I have planned to check on them this week. 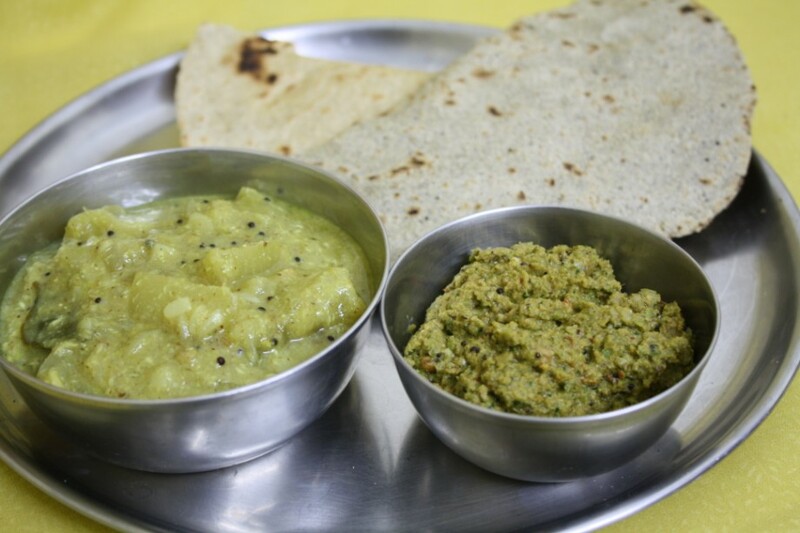 Coming to the recipe today, remember the Bottle gourd Chutney that Amma’s friend made for us. She also made this dish as the main for Rotis. I have already posted a sorakaya kura which is very delicious with roits. Imagine finding another one. I am giving the proportions exactly as how aunty shared with me. But do increase the spice if you want as hubby dear felt the curry needed little more spice. Grind all the ingredients listed under ground masala as raw. Keep it aside. Peel the bottle gourd outer skin, wash and cut into 1 inch pieces. Keep it aside. Skin can be used for making tokku also. Heat a kadai with oil add Mustard, cumin seeds, Methi, Urad dal, curry leaves, finely chopped Onions. Fry till the onions turn to brown colour. Then add Sorakaya pieces, fry for few mins on high, add salt & turmeric. Mix well, simmer and cover to cook for 5 mins. Next add the ground masala, mix everything together and simmer for 2 mins. Then add required water and pressure cook it for one whistle. Isn't it such a simple curry, yet delicious? I make the same way except for the addition of onions and it is liked by all ! the spices you used sounds so good..am sure its delicious..
Ahh…this looks delicious…nice presentation dear.. I loved simplicity and flavour of the curry ! Looks yummy and pretty quickie to make!!! 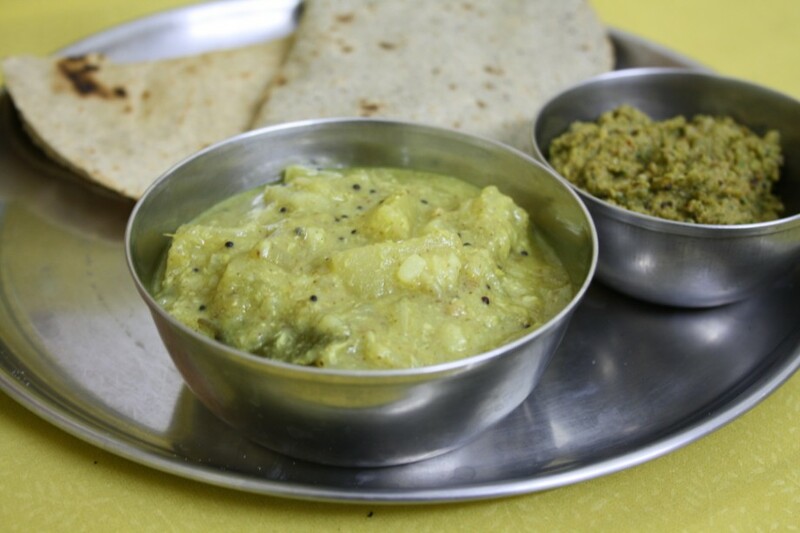 Very simple curry and goes great with roti. Sorakaya curry looks delicious. Adding masala with poppy seeds is interesting and after making Bengali dishes with poppy seeds, I've become a big fan of them. Will try your version soon. Simple and delicious curryn,can have it with rice or rotis.. Simple and delicious. I have only made sambar or kootu with this vegetable. This is new.